Installation view of ‘Secondhand’ at Pier 24 Photography. Image courtesy of Pier 24 Photography. 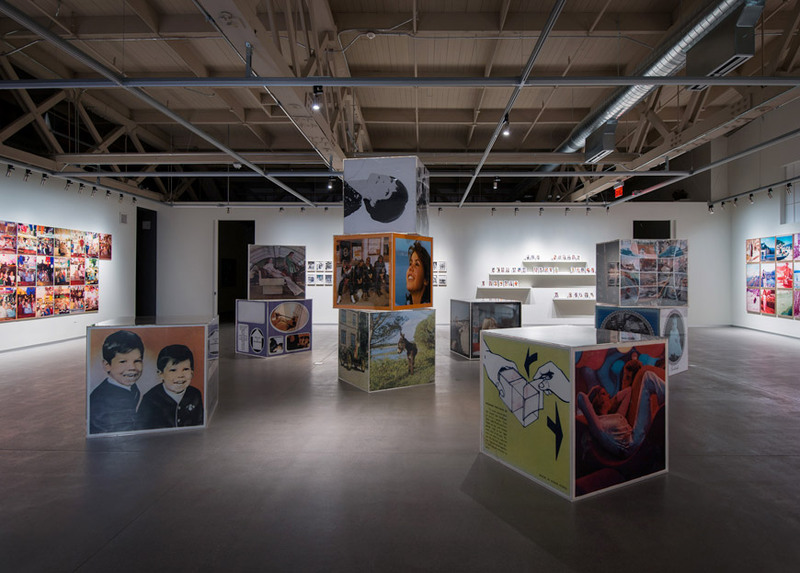 Ongoing through May 2015 – Secondhand at Pier 24 Photography: Pier 24 Photography is an exhibition space devoted to photography, which hosts rotating exhibitions and houses The Pilara Foundation Collection. Their current exhibit Secondhand is comprised of works that incorporate found photographs alongside selections from The Pilara Foundation Collection. Artists featured include Maurizio Anzeri, John Baldessari, Viktoria Binschtok, Melissa Catanese, Daniel Gordon, Erik Kessels, Mike Mandel, Matt Lipps, Richard Prince, Rashid Rana, Joachim Schmid, Larry Sultan, Hank Willis Thomas, and selections from the Archive of Modern Conflict. The exhibition is open Monday – Friday from 9 am to 5 pm by appointment only, find out more information about visiting Pier 24 here. Pier 24 Photography is located on 24th Pier on The Embarcadero, San Francisco. “No. 7 Violet”, “No. 1 Violet to Red”, “No.2 Red” all acrylic on dyed paper. Images courtesy of the artist. Ongoing through September 12th – Kelly Ording: Reflection / Refraction at Luna Rienne Gallery: Reflection/Refraction is a solo show of new work by Kelly Ording. These new works on paper feature her characteristic geometric shapes on tea stained paper that are based on the spectrum of colors. Through a series of repetitive, hypnotic visual patterns Ording blends mathematics and art. The show features a colorful site specific 7-part installation. The gallery is open Thursday through Monday from 12 pm to 6 pm and Tuesday and Wednesday by appointment. Luna Rienne Gallery is located at 3318 22nd Street, San Francisco. Various Christine Lee objects made from recycled fiber board. Image courtesy of the Workshop Residence. 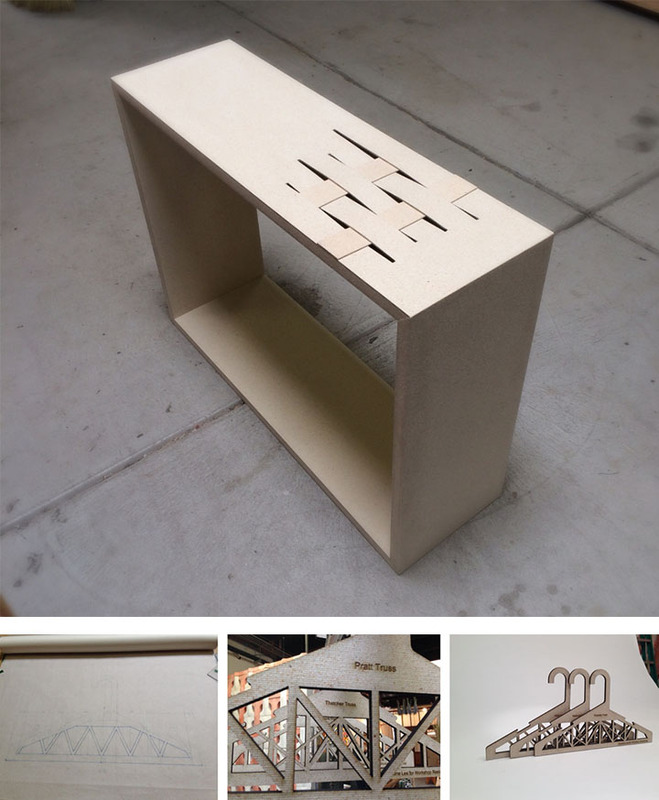 Saturday September 6th, 2 – 4pm – Christine Lee opening reception at The Workshop Residence: The Workshop Residence engages the worlds of craft, art and design by pairing visiting artists and designers with local fabricators to create beautiful, useful and affordable objects. Current artist in residence Christine Lee is an interdisciplinary research artist, designer and lecturer with a creative practice characterized by an objective to reveal the latent potential of disregarded material. During her residency at The Workshop, she is developing products created from a patent pending non-toxic wood and recycled fiber composite board Christine developed in partnership with engineer John F. Hunt and the USDA Forest Service Forest Products Laboratory. The Workshop Residence is located at 833 22nd St, San Francisco. 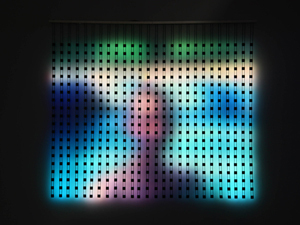 September 6th – October 18th – Jim Campbell: New Work at Hosfelt Gallery: Jim Campbell is a new-media pioneer and is considered one of the leading artists working today in this field. Campbell uses LED technology to create mesmerizing works that blend his engineering and film-making background. New Work continues his examination of the liminal space of perception, where data becomes image and light becomes material. The gallery is open from Tuesday through Saturday from 10:30 am to 5:30 pm and Thursday from 11 am to 7 pm. An opening reception for the show will be held on Saturday, September 6th from 4 to 6 pm. Hosfelt Gallery is located at 260 Utah St, San Francisco. 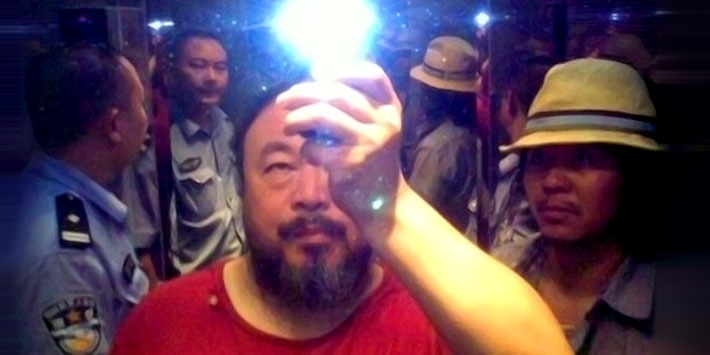 A famous self-portrait of Ai Weiwei shortly after he was arrested by the Chinese government. Image courtesy of the For-Site Foundation. September 27th – April 26th – @Large: Ai Weiwei at Alcatraz: The internationally renowned Chinese artist Ai Weiwei has created a site-specific exhibition on San Francisco’s island prison. Because of his background as an activist and advocate for human rights in his native China, Alcatraz prison provides a particularly poignant background for this important exhibition. This project is made possible by the For-site Foundation, a San Francisco based non-profit dedicated to the creation, understanding, and presentation of public art that is about place. Visiting this exhibition requires buying ferry tickets to Alcatraz in advance. Find information on purchasing tickets and guided tours here.